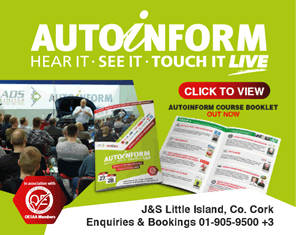 Strongline Autoparts is one of Ireland's leading national wholesale automotive parts distributors, supplying motor factors, government bodies and engine re-manufacturers with a range of leading brand products. The Strongline organisation has a history dating back to 1958. The present company was founded in 1976, and it moved to its present purpose-built Dublin distribution centre in 1994. Throughout its history, Strongline has offered a comprehensive and high-quality brand portfolio of automotive components and accessories. Today this includes products from leading original equipment manufacturers, such as Coopers-Fiaam, Gates, Ring, Airtex and Oldham. Strongline also launched the respected MEYLE brand in Ireland in 2012. Coupled with its strong brand portfolio, Strongline and its many customers also benefit from a team of dedicated management and staff, continual investment in technology, a reliable and efficient logistics and distribution network, and a commitment to excellent customer service.